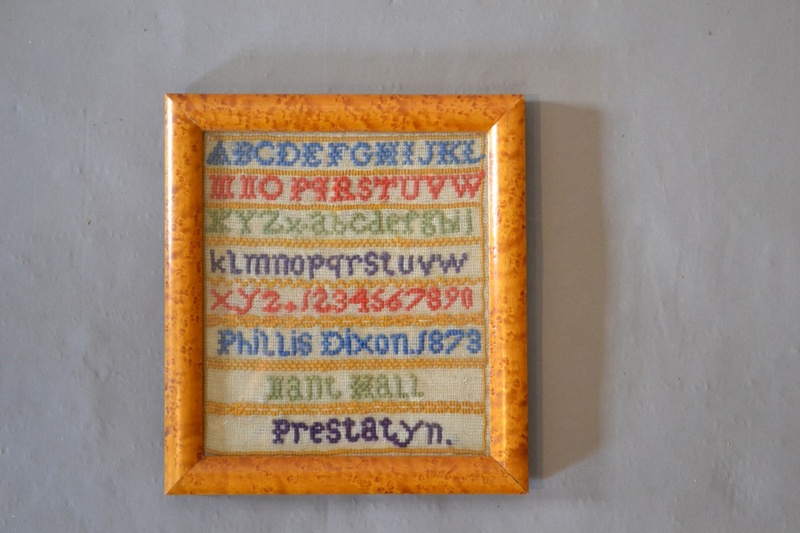 A small Victorian Welsh wool sampler,in great condition with bright colours. 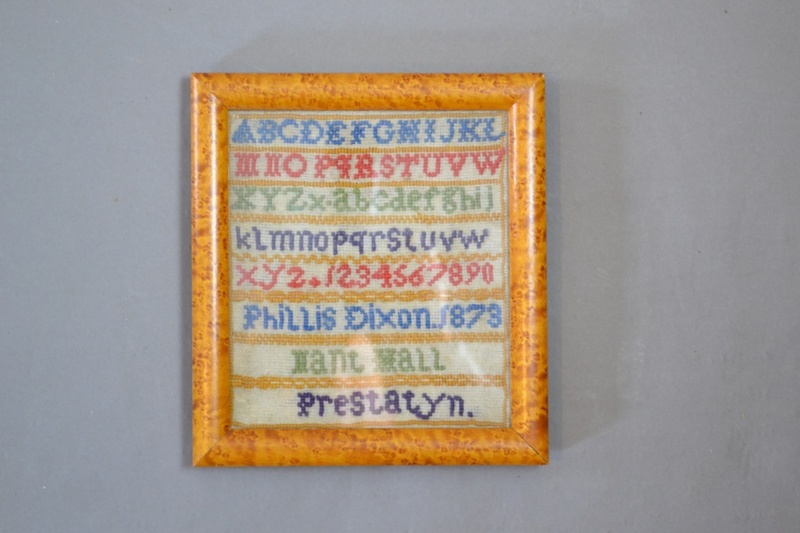 Phillis Dixon 1873, Prestatyn, born 1863 Melide (Meliden) Flint North Wales. In 1881 listed as unmarried & living with her parents Thomas & Catherine on their 250 acre farm, with two sisters Catherine Jessie & Emily Jane & 4 servants, her father born in Scotland.